I am a huge fan of everything runDisney and have decided to focus a large part of my shop to fun gifts for runDisney enthusiast. Items currently in the shop include decals, t-shirts and totes, but be watching for costumes, jewelry and home decor items to be added over the next couple of months. Be sure to let me know if there's something you would like to see added to the shop. 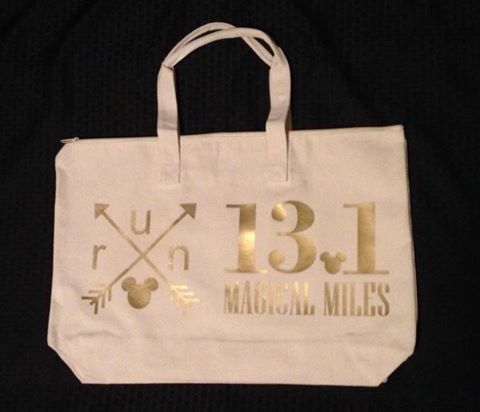 To celebrate I am giving away one of these adorable totes available at Magical Run Concierge. 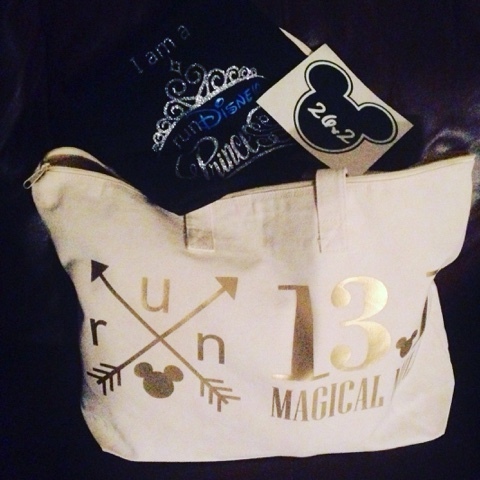 Not only will you win the tote, I am also adding a runDisney Princess shirt, a decal and some fun Disney surprises!! Let's have some fun with the giveaway!! How about a social media round robin? Each stop is 1 entry in the giveaway. Let's start with a comment on this blog post. Comment below with which 2016 runDisney event you are forward to the most. Next visit my Facebook Page and answer the Disney Donna Kay Question of the Day. There will be a new question daily so that means you have multiple chances to win on Facebook alone!! Visit the store and find your favorite item, Pin it (bonus entry for posting it to Facebook, Twitter or Instagram). Be sure to tag me in your post @DisneyDonnaKay)! Be sure to add me to see all the new items as soon as they are added to the shop. Follow my favorite runDisney pal @Distherapy on Twitter. The giveaway ends on January 29fh at 11:59pm. Be sure to share with your friends!! Good Luck!! I loveeeee this bag!!!! I'm thinking about doing the 10k at Disneyland in September and signing my son up for the kids races so I'm looking forward to that! What Princess wouldn't LOVE these goodies??!! I doubt I will be able to personally participate in any of the 2016 races... however, I love the idea of the Star Wars half marathon in April! I love the theme and costumes people come up with! Fingers crossed for 2017?!?!?! This Princess is enchanted with this giveaway and would love to win for Princess weekend! So magical! Glass Slipper Challenge goodies could fill it up! I hope to do the Castaway Cay 5K when we cruise this year. I'm doing all three races for Princess weekend and all three for Star Wars the Dark Side. I think I'm looking more forward to Star Wars since it's the first year! My granddaughter is also a big fan of disney, a big reason is her name is Mini so she gets a lot Minnie Mouse things. I Dont personally run in the events But I love reading about the accomplishments of the people that do! I'm new to runDisney. This is my first time reading about it. I am most looking forward to the Disney Princess Half Marathon Weekend! I think the Princess 5k would be pretty cool! I am most looking forward to go the runDisney Tinkerbell Half Marathon Weekend. I follow on Instagram as @pam2424. I haven't did an event in quite some time.. Although you guys make it sound exciting! Star Wars 5k, can't wait! I am looking forward to the Star Wars 5k! The 10K at Disneyland sounds awesome. I'm having knee issues so I'm not sure about others. ALL the runs sound fun but not able 2 attend any now.